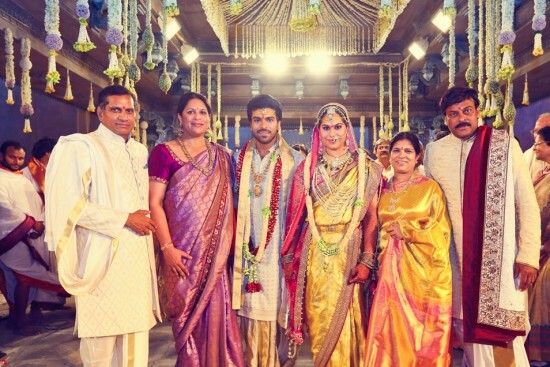 Ram Charan is the son of Chiranjeevi, grandson to Allu Rama Lingaiah, nephew to Nagendra Babu, Pawan Kalyan, Renu Desai, and Allu Aravind and cousin to Allu Arjun, Allu Sirish, Varun Tej and Sai Dharam Tej.rnrnCharan got engaged to Upasana Kamineni, the vice-chairman of Apollo Charity and chief editor of B Positive magazine, in Hyderabad on 1 December 2011. Upasana is the granddaughter of Prathap C. Reddy, the Executive Chairman of the Apollo Hospitals. Subsequently, they got married on 14 June 2012 at the Temple Trees Farm House.